What are the symptoms of Leptospirosis in dogs? Even if your dog’s immune system clears the bacteria from most of the body, the bacteria can remain in the kidneys, infecting the urine. Kidney disease leading to kidney failure can also occur if the bacteria is not cleared from the kidneys properly. Blood tests including a complete blood cell count, chemistry screen and urinalysis will be recommended. These tests will provide important information in regards to organ function and overall health. Dogs with Leptospirosis will show some abnormalities such as increased white blood cells, decreased platelets, elevated kidney and/or liver enzymes, dilute urine and other evidence of kidney damage. If a specific diagnosis of Leptospirosis is needed, there are two tests available. The PCR test can be done on blood or urine (urine is the preferred specimen). This test is readily available and the turn around time is quick. This test needs to be done in the early stages of the disease or else the bacteria may not be detected, leading to a false negative. The second test is the Microscopic Agglutination Test. This test checks for the presence of antibodies against Leptospira in the blood. If the levels are high, the infection is confirmed. 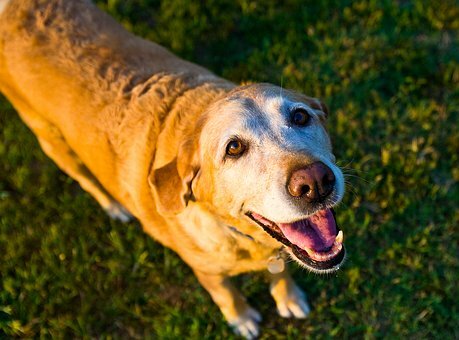 How is Leptospirosis prevented and treated in dogs? Dogs with a less severe infection are able to be treated as out patients with a long course of antibiotics. Antibiotic therapy is usually a 4-6 week treatment. Dogs that have recovered but are still carrying Leptospira bacteria in their kidneys are considered carrier animals, and will continue to shed the bacteria in their urine with out showing active signs of infection. A vaccination for the prevention of Leptospirosis is available, but is not routinely used in areas where risk is low. If you are wanting your dog vaccinated for Leptospirosis the vaccine may be hard to come by if you are not in a high risk area. Your veterinarian can advise you on the availability and usefulness of this vaccine. In Canada, the majority of the reported cases of Leptospirosis have been in Ontario. Leptospirosis is a zoonotic disease, which means it is transmissible to other animals as well as humans. If your dog is being treated for Leptospirosis, special care is needed during treatment. Your pet should be kept separated from other pets and kids in the house. Any areas where your dog has urinated, defecated or vomited needs to be cleaned and disinfected thoroughly. Gloves should be worn when handling your pet and cleaning up after them.